Nourish your body, mind, and visual senses with this harvest vegetable bowl. It’s a hearty, nutritious, and delicious meal inspired by seasonal fall vegetables. I paired it with a creamy, dairy-free, anti-inflammatory dressing made from hemp hearts, ginger and turmeric. This oil-free dressing is so delicious I have been drizzling it on everything from salads to grains, and even using it as a dip for veggies. Curious about hemp hearts? My family has been consuming hemp hearts (also known as hemp seeds) for years, so I was ecstatic when Manitoba Harvest sent me a bag to try. The nutritional benefits of hemp hearts are incredible. Not only are they high in protein, but they contain all the essential amino acids which makes hemp hearts a complete protein source. They are also great sources of fiber, iron, magnesium, calcium, zinc and vitamin E. Hemp hearts are easily digestible and contain a well-balanced ratio of omegas 3, 6, and 9 which is important for our immune systems and maintaining heart health. Lastly, they contain arginine and gamma-linolenic acid which have both been associated with a reduced risk of heart disease. Their nutty, mild flavor is unique and worked well with ginger and turmeric in this dressing (talk about an anti-inflammatory trio!). Giant vegetable bowls are incredibly quick and easy to throw together, especially if you prepare some of your ingredients beforehand. 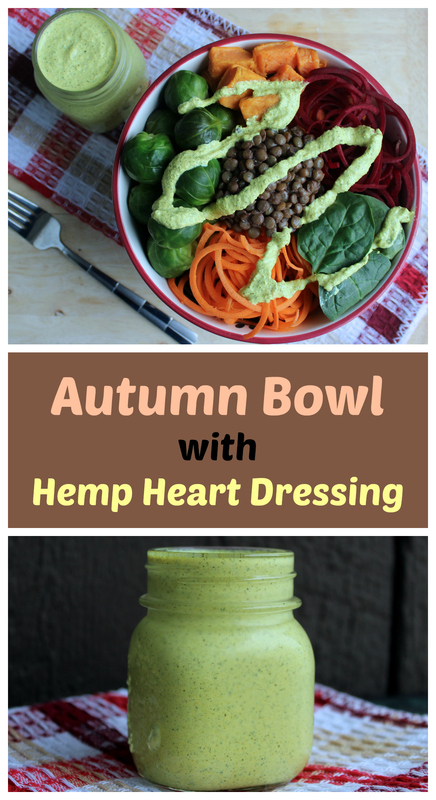 Design your own with any variety of fall vegetables, but do try my amazing hemp heart dressing which I can’t get enough of right now. As usual, don’t forget to check out the ‘PCOS Powers’ which I list at the end of the recipe (there are many in this vegetable bowl!). Cook the lentils, Brussels sprouts and sweet potatoes. I boiled the lentils and steamed the Brussels sprouts and sweet potatoes. You could also roast the veggies. Steaming retains more nutrients than boiling. Spiralize the beet and carrot. I ate these raw but they can be steamed for easier digestion. Set veggies aside. Blend all ingredients for the dressing in a food processor until smooth and creamy. Transfer to a small jar to store in the fridge after using. Place pile of cleaned spinach in the bottom of a bowl. Add vegetables on top of the spinach and drizzle with dressing. Enjoy your nourishing vegetable bowl! Great! Happy to hear I’ve inspired you! This looks absolutely incredible. I saved it to Pinterest so that I remember to make it very soon. I have made this so very many times since I first saw this recipe. I adore the dressing and I love that it is full of protein. Thank you! I am in love with the dressing. It thoroughly surprised me with how well the flavors worked together. Look at all the colors! So going to try this! Aren’t they all beautiful together?! Thanks for stopping by! Love hemp hearts and creamy hemp based dressing is one of my favourites! Turmeric sounds great in this dish and it’s so pretty. I can’t believe all the health benefits that are packed into this delicious recipe. 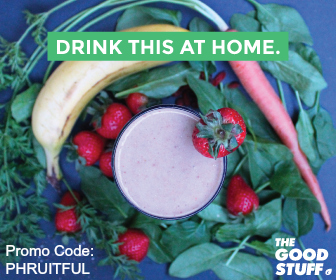 From antioxidants to anti-inflammatory, its great. Thanks for sharing this! Those hemp hearts often find a way into my breakfast smoothies. A dressing makes sense, too. Thanks for the idea! I’m in a weekly lunch club and I will definitely be making this! I love how you broke down all of the ingredients with nutritional information! This looks so good!! I love all the delicious seasonal vegetables right now, and I don’t know why I had never thought of using spiraled veggies in my salads before! Genius!! This looks so hearty and delicious! This dressing sounds amazing! I love hemp seeds. Thanks for sharing on healthy living link party! What an inviting Fall dish. And I love the look of that dressing! I can’t get enough of vegetables. This looks very easy and healthy. I’m going to have to try this one though! I will have to try this and look for hemp hearts the next time I am at Whole Foods or Trader Joe’s! What a beautiful bowl! They’re my favorite sort of meal, and this one sounds so good, especially with the dressing. I have some hemp seeds, so I definitely need to give this a go! This looks really tasty! I have yet to figure out how to make brussel sprouts taste yummy, but I bet I could switch them out for sweet potatoes! This looks so yummy! I love the idea of this, I’ll definitely try it! Sounds so healthy and delicious! Love all the bright colors too! This looks delicious and easy to make. I love hemp seeds and have used them mostly in smoothies, but like the idea of the salad dressing. Thanks for posting all the nutritional info. I use hemp hearts in my smoothies all the time! Being that I’m vegan I will definitely be trying your harvest bowl, it looks delicious! This dressing sounds fabulous and I have all the ingredients!! Who can resist these healthy, colorful vegetables dressed with a mouthwatering hemp dressing. This is my kind of comfort food. Your amazing photography makes this delectable bowl jump off the page and practically into my mouth! I’m pinning and sharing.Note: Feel free to share your veggie dishes with us at the Plant-Based Potluck Party and the Healthy Happy Green and Natural Party too! All the best to you! Yum! This looks amazing and the dressing sounds delicious! 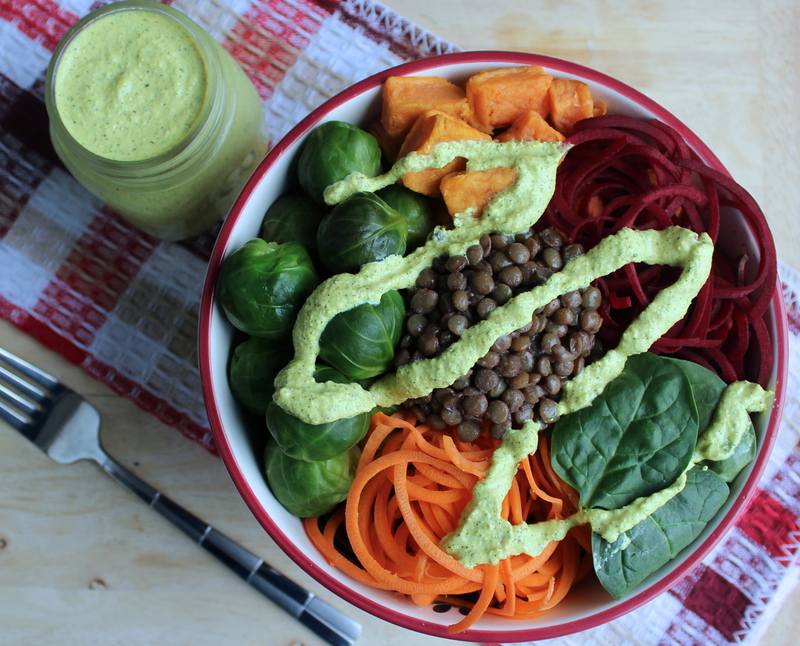 Wow this veggie bowl + dressing is a bomb of goodness! I will definitely try your dressing recipe. Thank you for sharing this!! I love eating my way through vegetables in season. Wow. Yummilicious. And healthy all around. Love these recipes. With the weekend around, just the right time for me to try. Thank you so much!! This looks so delicious! The ingredients in that sauce look like they would make a good topping for sandwiches and other salads! This looks delicious. I am currently looking at dishes to boost the immune system and this most definitely ticks that box. Love the use of hemp hearts, I researched high protein foods for vegetarians a while ago and hemp seeds scored highly.I’ll be bookmarking this! 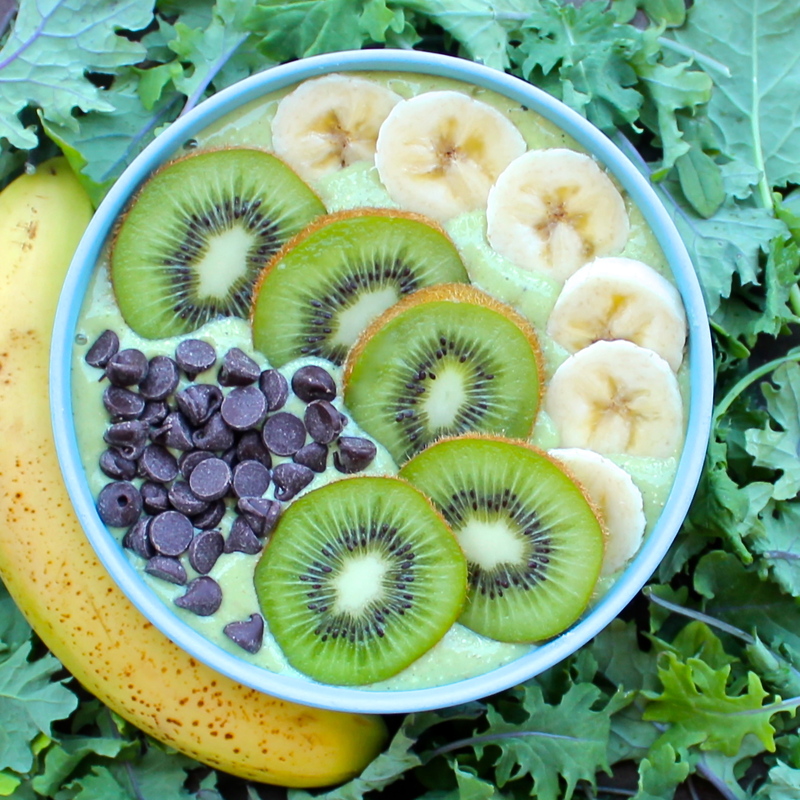 Wow – this looks super healthy and tasty at the same time! Seems really easy to make too, I don’t have a spiralizer but I could just grate the carrot. Looks incredible. Really amazing photos. I’d eat that everyday. I’m not so fond of beets but I love how the whole vegetable bowl fits into a hearty meal. And of course, the dressing. I must try that, though I’m not sure where I would get hemp hearts. So interesting to note how turmeric is becoming so part of our daily dishes. How delicious looking and I love that dressing! ps… always love your food pics! Thank you for the idea. I just posted about a 7-day raw food challenge, and this is a great idea for the dressing. Wish I’d known about it earlier. Thank you for sharing. This looks really tasty! I think I’d enjoy it. Love all the colors too! Wow would have never thought of a salad with all these wonderful veggies! This looks delish. This is exactly the fall recipe I need! Many fall recipes are just so heavy that your left feeling so bloated afterward. This sauce looks delicious too, can’t wait to try it. First of all I love the layout of your blog! It is awesome. I also just posted a dressing really similar to this on Facebook. It was a big hit so am sure this is as well. I love all the colours of the photos as well. Really nicely done! Beautiful! I’m obsessed with plant based foods ((although I don’t always make plant based dishes))! Im terrible at making salad dressing so this meal will definitely go on my list to do. Thanks for sharing! I have been needing to eat more vegetables. This looks like a delicious fall salad to try. I’ve never tried hemp hearts, but I’d imagine anything with tumeric and ginger would be amazing! I’ll have to try this! Yummy! This is a recipe that I will definitely bookmark. I love all things yummy, especially if they are healthy! <3 Will have to try this one soon. Thanks for sharing! This looks like a nice healthy, hearty salad. I am very interested in tasting the dressing. I need to buy those ingredients because I don’t have alot of the items in hand. This looks so hearty and filling! Love all the colors, too. Your vegetable bowl looks delicious! It looks very filling, too. I love brussel sprouts, spinach, and sweet potatoes! I’ve never tried it mixed in a bowl, though. This looks really delicious! I love vegetable bowls and would love to try this! I’ve seen hemp hearts at Costco and I’ve wondered what they tasted like. I had no idea they were so beneficial! This is a beautiful and healthy dish. The sauce on it looks great too. Ooh that looks so refreshing and delicious! I love bowls like that, it’s such an easy way to get in all of your veggies. Mmm this looks delicious! I love your dressing. Thickening dressings by adding hemp seeds is one of my favourite ways to add nutrition and creaminess to my salad. I’ll have to try yours! This looks so tasty & so loving the colors! This looks so good and the best part us it takes no time to prepare. A wholesome meal without any hassle. Thanks so much for sharing. Yes!!! 100%. I am all for simplicity because on the average night that is all I have the time for. Glad you enjoyed! It’s very important to have healthy diet to have healthy lifestyle. I’ve never used hemp seeds or turmeric in a dressing before- and I love both! How does it get the green color? That is honestly a good question! I believe the yellow turmeric mixed with hemp hearts and ACV resulted in this color somehow! wow, it’s really healthy meal and simple. This looks amazing! I love a good hemp dressing and this sounds like a winner. Thanks for sharing! I have hemp hearts in my fridge! Great idea to make it into a salad dressing. They are one of my top superfoods! I would love to hear if you tried the dressing. What a happy coincidence! I found your site while I was searching for ways to use a bag of Hemp Hearts I bought at Costco. As it turns out, I also have PCOS. Should I refrigerate this dressing after making it? Also, how long will it keep? Wonderful!! I love when that happens. Yes, refrigerate it (I made a lot). I’m not certain how long it will keep though! Sorry!